Vtech’s Go! Go! Smart Friends collection is a great way for kids to engage in classic and interactive play. Designed around their Magic Point technology, the characters are able to come to life through music and and fun phrases. 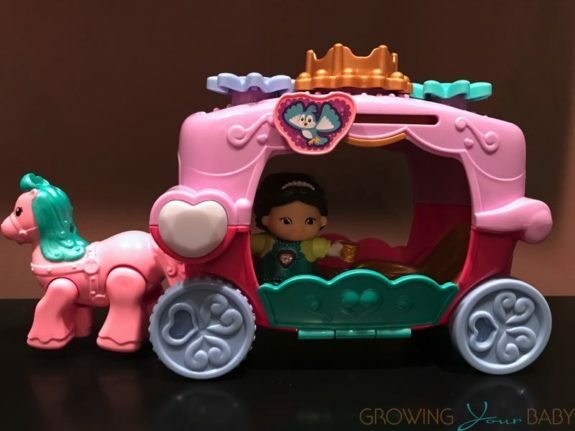 Last year Vtech introduced their Enchanted Princess Palace along with a Magical Unicorn and Secret Blossom cottage to expand on the princess play some kids love. New for 2017, they have expanded that collection to include the Trot & Travel Royal Carriage. The perfect way to get around the palace, the carriage comes with Princess Lela. 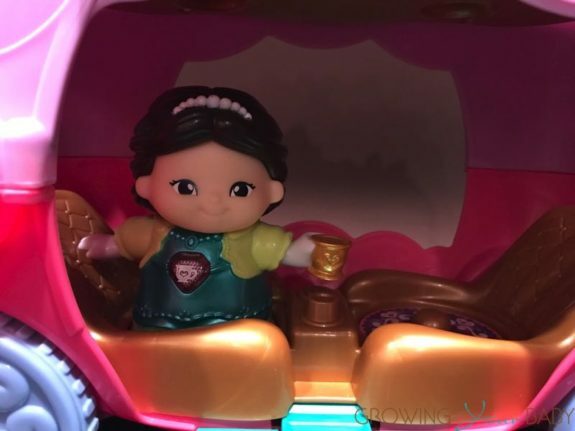 She can sit inside on one of the golden chairs or see the world from the crown at the top of the vehicle. The crown can be kid powered or spun by moving the bird back and forth. The wheels on this set roll – which in turn activates the horse at the front to trot. Once Lela reaches her destination the side of the carriage opens and she is able to get out. A heart on the side of the carriage flashes pink and blue as Lela sings or offers various phrases about her journey. This set is quite cute and matches the overall theme of the world perfectly. If your child already has a couple other pieces in the collection the characters from those pieces play perfectly together in all of the sets. Even without the electronics, the Trot & Travel Royal Carriage is a great toy for kids as it needs to be moved manually. 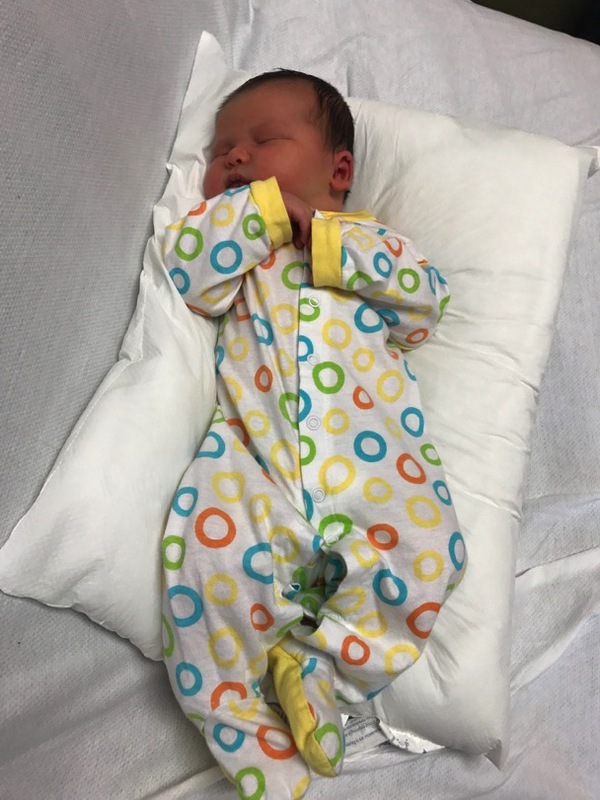 Our little testers shreiked with joy when they saw it and played with it for hours. 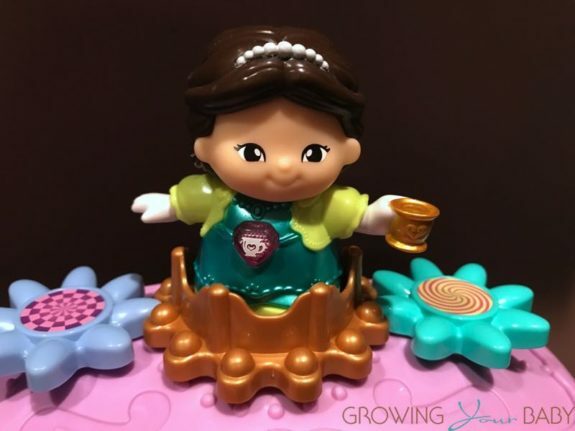 Retailing at $26, this carriage is priced perfectly for a birthday party gift or just a quick pick me up for little one who wants to expand their world.